McCoy President Takes Lead Role For SAMPE 2019 | McCoy Machinery Company, Inc.
McCoy Machinery President Kevin Ahlstrom has been nominated to co-chair next spring’s SAMPE event in Charlotte, North Carolina. 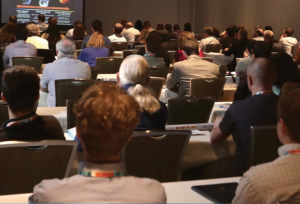 SAMPE 2019, the only technical conference and exhibition exclusively dedicated to advanced materials and processes, will take place May 20-23, 2019 delivering a week of dynamic technical presentations from industry subject matter experts. 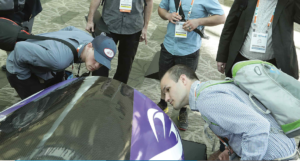 This event, produced by the North America Society for the Advancement of Material and Process Engineering (SAMPE), is anticipated to draw 250+ exhibiting companies with 4,104 attendees – engineers, scientists, and professionals from throughout the advanced materials and processes industry. As a Chairperson for the expo, McCoy President Kevin Ahlstrom is working with his team to organize events and activities for this exciting four-day event.